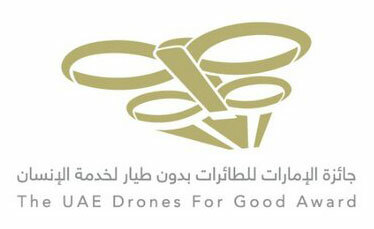 The semi-finalists of the UAE Drones For Good award have been announced. Here is a highlight of the international contenders; you can find the full list of semi-finalists on the UAE Drones For Good website. Project Description: Integrating drone deliveries with a package catchment system. Project Description: Use drones for detecting survivors, search and rescue on the coast. Project Description: The First Response Infrastructure Emergency Network of Drone Systems, or FRIENDS, will provide a solution to the communications and transport problems that follow a disaster. Project Description: Transition UAV is a drone system developed for civil and agricultural use that enables detailed monitoring and evaluation of crop conditions. Project Description: A waterproof drone used to detect interferences in protected areas, observation and communication with casualty. Project Description: The main goal of this UAV is to locate and rescue persons from buildings on fire, collapsed building, mines, or other urban and industrial entrapments. Project Description: A drone designed to scan and probe lakes and rivers for emerging pollutants and threats with a goal to monitor, research and protect water quality. Project Description: Using drones for detecting underground mines through a smart integrated system. Project Description: A small, lightweight drone that has the unique ability to collide with obstacles without losing its stability, and which is safe to fly in close contact with humans. Project Description: A fully autonomous cargo transportation system. Project Description: Drones to improve disaster relief through mapping and detection of disaster areas. Dronologista wishes all the semifinalists good luck!